The authoritative work on 9/11 and state-­sponsored false-­flag terrorism. 9/11 Synthetic Terror is the only book to present a working model for the event - a network of moles, patsies, paramilitary pros, privatized intelligence assets and corrupt media corporations. We see how this enormous provocation was successfully executed and exploited as war propaganda. This new, fifth edition reveals a whole new dimension of explosive facts for the first time: the enormous array of drills in which the US defense apparatus rehearsed every aspect of the 9/11 operation. Author Webster Tarpley presents the corpus of 9/11 research - such as the controlled demolition of the three WTC towers - from the perspective of a veteran intelligence expert and historian. The exploit is placed in the geopolitical context of oligarchy and imperialism - in the tradition of precedents such as the Gunpowder Plot, the USS Maine, the Strategy of Tension, and other historically decisive state-­sponsored terror . . .
A quick reference guide like this Handbook when I was on the city council. Great “Zingers” for a game of “gotcha,­” Letters to the Editor, Tea Party Rallies, debate talking points, or Toastmaster Speeches. The Endangered Species Act (ESA) may be the most powerful environmental law in the United States. Enacted in 1973, the ESA prohibits any actions that may cause harm to endangered plants and animals or the ecosystems upon which they depend. But although more than 1,­200 species are protected under the Act, most remain in peril. The ESA may have saved some species from the brink of extinction, but there is little evidence it is working as intended to recover endangered and threatened species. 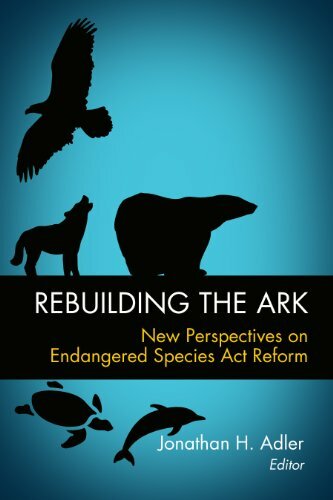 In some cases, the Act's extensive regulatory requirements may actually discourage conservation efforts.­In Rebuilding the Ark: New Perspectives on Endangered Species Act Reform, Jonathan H. Adler leads a group of environmental law experts in evaluating the ESA's successes and failures and exploring multiple avenues for reform. The authors examine methods for incentivizing conservation on private land and water, for revising and standardizing the ESA's regulatory framework, and for increasing . . .
What are the causes of war? To answer this question, Professor Waltz examines the ideas of major thinkers throughout the history of Western civilization. 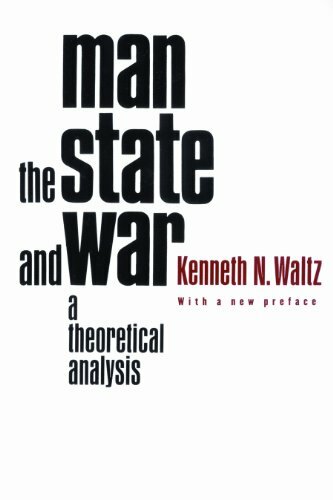 He explores works both by classic political philosophers, such as St. Augustine, Hobbes, Kant, and Rousseau, and by modern psychologists and anthropologists to discover ideas intended to explain war among states and related prescriptions for peace. Are Conspiracy Theories intrinsically absurd? Why do some people believe in them while others just laugh at the very idea?  A must-­read for every conspiracy theorist and scary as hell if you aren’t.